Governors club homes, a gated golf community in Brentwood Tennessee. With hilltop estates overlooking the Arnold Palmers signature golf course, the Governors club is one of the premier communities in middle Tennessee. Residents can entertain guests in the Pleasant Hill Mansion and Social Clubhouse, fish in one of the lakes, enjoy the Swim and Tennis Club. The Governors Club Fitness Center is a state-of-the-art facility complete with cardiovascular and weight training equipment. Real Estate in the Governors club range from the $680,000 to $8,000,000, with average price being $1,680,000,and the average price per square ft being $240. 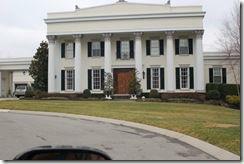 Call or visit my website to search for Governors Club Homes, or any other Nashville real estate.